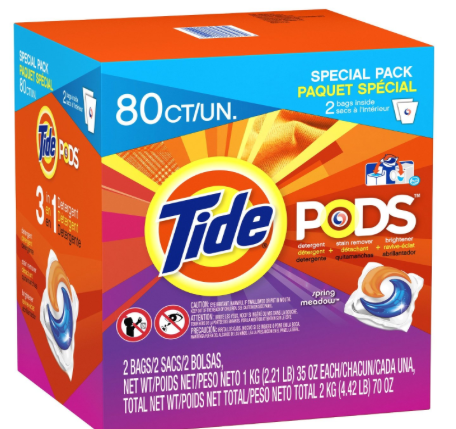 Amazon: Tide Pods Only $.19 a Load! There is a SWEET deal on Tide Pods this morning on Amazon! You can do some laundry for as little as $.19 a load! There is also a $.50 coupon you can “clip” and free shipping when choosing subscribe & save! Did you know that if you have 5 or more subscribe & save items shipped in a month, you can get 20% off instead of 5%? That is a really great deal! Works in Both Machine Types – Standard & HE. Dissolves Quickly in Hot or Cold. 1 pac = 1 load. Remember that prices can change at any time on Amazon! Do you want to know how subscribe & save works? Click HERE.